Fort Lauderdale Miami Airport Shuttle gets you to all your favorite Fort Lauderdale, Port Everglades and Miami area hotels, cruise ships, airports and tourist attractions. Quickly, comfortably and safely. Includes 1 way transportation from FLL Airport or surrounding hotels to Port Everglades Cruise Ships. Round trip available, please ask your driver. Includes 1 way transportation from FLL Airport to Port of Miami Cruise Ships. Shuttle leaves Airport Fri - Mon at 11:15am, 12:15pm & 1:30pm. Cash special only. 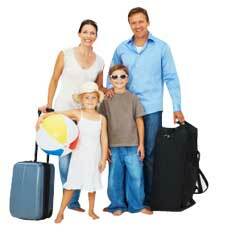 Includes 1 way transportation for 10-14 people from FLL Airport to Port of Miami Cruise Ships. Includes all taxes, fee. No hidden fees. Round trip and trailer available. Please inquire. 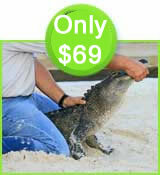 Includes 1 way transportation for 10-14 people from FLL Airport or surrounding hotels to Port Everglades Cruise Ships. Includes all taxes, fees. No hidden fees. Round trip and trailer available. Please inquire. Includes Round Trip transportation for 10-14 people from FLL Airport or surrounding hotels to Port of Miami Cruise Ships. Includes all taxes. No hidden fees. Round trip and trailer available. Please inquire. Includes Round Trip transportation for 10-14 people from FLL Airport or surrounding hotels to Port Everglades Cruise Ships. Includes all taxes. No hidden fees. Round trip and trailer available. Please inquire. Includes 1 hour airboat ride and alligator handling show; round trip transportation from any hotel within 3 miles of FLL Airport. Transportation is part of 3 hour tour. The Allure, Oasis, Freedom and the Dream are just a few of the ships that are leaving out of Port Everglades this summer with many more coming in the months to come. When you're flying into Fort Lauderdale Airport and continuing on to Port of Miami, we have you covered. We provide shuttle transportation if you need to get to the Magesty of the Sea, Carnival Imagination, Norwegian Dawn or the Celeberity Century, just to name a few of the ship leaving out of the Port of Miami this summer. Fort Lauderdale Miami Shuttle has 14 passenger vans with a trailer for all your bags at very reasonable prices - 365 days a year! Includes 1 way transportation from FLL Airport to any South Beach downtown area hotel in Miami or Bayside for up to 6 people. Includes all taxes. No hidden fees. Includes 1 way transportation from FLL Airport to any South Beach downtown area hotel and the Port of Miami for up to 4 people. Includes all taxes. No hidden fees. Includes 1 way transportation for 8-10 people from FLL Airport to Port of Miami Cruise Ships. Fridays and Mondays only. Includes all taxes. No hidden fees. Includes 1 way transportation for up to 6 people from Miami Airport or surrounding hotels to any Fort Lauderdale, Hollywood or Dania Beach hotel. Includes all taxes. Last shuttle leaves airport at 9pm. Includes 1 way transportation for up 10-14 people from Miami Airport Port of Miami or any South Beach, Bayside or downtown are hotel. Includes all taxes. Last shuttle leaves airport at 9pm. Must call when landing at MIA. Includes pick up from Miami Airport for 10-14 people. 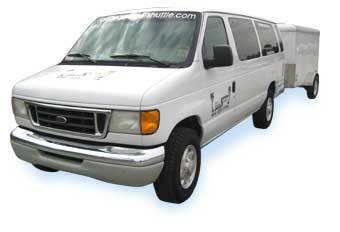 Includes round trip - pick up from Port Everglades back to Miami Airport. Includes all taxes. No hidden fees. Trailer available upon request. Please inquire.